SAN JUAN, Puerto Rico -- Legislators in Puerto Rico are investigating the U.S. territory's forensics institute following complaints of understaffing, bad odors and backlogs in the handling of bodies as the island struggles to recover from Hurricane Maria amid an economic crisis. A group of representatives made a surprise visit to the Institute of Forensic Science on Friday, where they were denied access to five large trailers stationed outside that contain 76 bodies. An additional 259 bodies are being kept inside the morgue, some from as far back as 2012. Overall, 56 bodies have been identified by relatives but remain unclaimed. 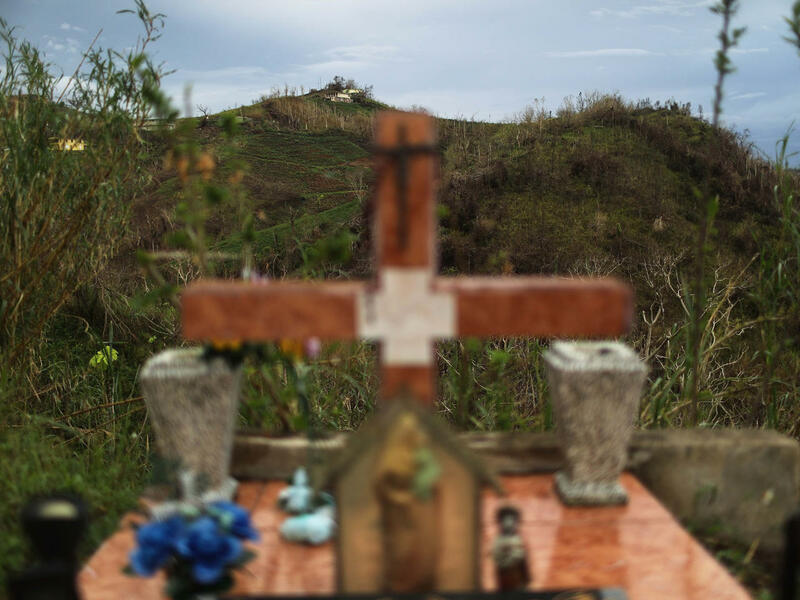 Puerto Rico Rep. Juan Morales, president of the House's health commission, told The Associated Press that he is verifying the institute's claim that none of the bodies were victims of Hurricane Maria last September. He said that is one reason he requested a copy of the inventory of corpses, adding that it lacks key details, including where exactly the bodies are being held. "If that's the inventory, there's something wrong," he said. Morales said legislators are considering going to go court to demand that all five containers be opened. He said one employee physically barred a representative from entering one area during the visit. "It's time that we leave all doubts behind," Morales said. "The island today should be asking itself if the forensic institute is truly operating the way it should." Forensic officials could not be immediately reached for comment. The forensic institute is equivlanet to the state's medical examiner's office. Puerto Rico Rep. Jose Perez, who also was present during Friday's visit, told AP that long-standing problems at the forensics institute have worsened with the island's 11-year-old recession and the passage of Hurricane Maria. Among the problems is a lack of forensic pathologist, with the institute having five, when the ideal number is 15, he said. Perez criticized forensic officials who declined to open the trailers. "They're hiding information," he said. "Obviously that causes suspicion." Legislators met with forensic officials behind closed doors before leaving the institution. Morales said four of the five containers holding the 76 bodies were donated by the U.S. Federal Emergency Management Agency after Hurricane Maria and do not have any generators as backup if the power goes out. He said forensic officials told him no one is regulating the temperature within the containers. He noted that at 4 a.m. on Tuesday, crews removed two cadavers from the containers because they were leaking. "This leads us to conclude that the temperature in those containers is not the correct one," he said. Legislators recently approved a budget that awarded an additional $1.5 million to the forensics institute, but a federal control board overseeing Puerto Rico's finances rejected the increase. The institute is operating with a $2 million budget, the same as the previous fiscal year.